UPDATED JAN. 3, 2019: The 2018 Great Toy Drive was a success, and marked our 16th year sponsoring this community event! During the holiday season, over 35,000 toys were collected (including 300 bikes) and donated to 130 nonprofit organizations in Oregon and SW Washington. Over the years, the Great Toy Drive has collected more than a million toys, bringing smiles and holiday cheer to children in need, throughout Portland. 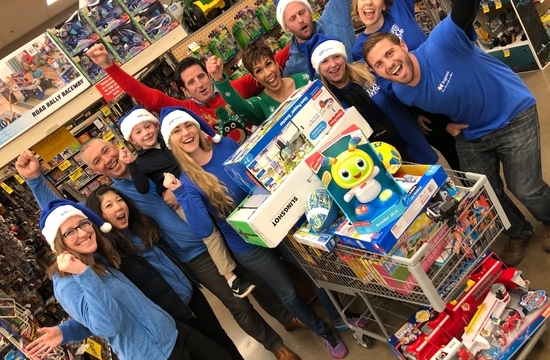 Here at Regence, we’re all about neighbors helping neighbors – and every year, our employees love to support the Toy Drive, donating and volunteering at toy collection events around the city. 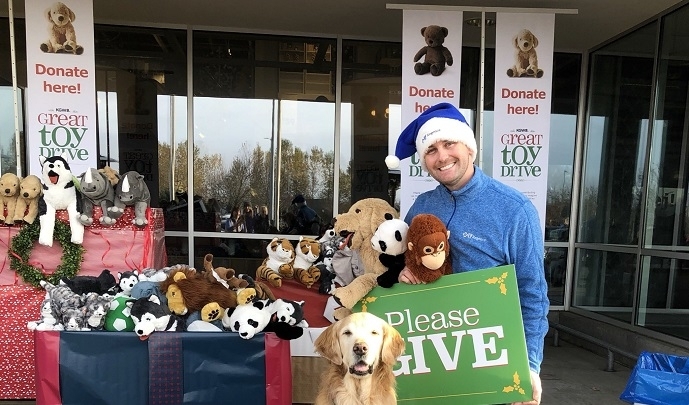 Hundreds of businesses throughout the Portland-metro area – including Regence – are participating in this year’s Great Toy Drive, collecting toys for over 120 nonprofits in the area that support children and their families in Oregon and SW Washington. The 2018 Great Toy Drive kicked off earlier this month with the Great Toy Dash. Our team was excited to participate, collecting $1,000 worth of toys to launch the Toy Drive this year. We encourage you to join us this year to help make the holidays brighter for local families. Donating toys is a simple way to make this season special for children in our community. If you’d like to make a difference in the lives of Portland families this holiday season, join us by donating new and unwrapped toys at our Portland office on 1621 SW 1st Avenue or any of the designated drop-off locations throughout the city. Also, mark your calendars for Great Toy Drive events happening around town – and don’t be surprised if you also spot our crew in Blue! Janzen Beach Center – Saturday, 12/1 - 11 a.m. - 3 p.m.
Lloyd Center – Saturday, 12/8 - 11 a.m. - 3 p.m.
Clackamas Promenade – Saturday, 12/15 - 11 a.m. - 3 p.m. Learn more about the KGW Toy Drive and benefiting non-profits throughout Oregon that together, with our help, will make the holidays brighter for local families. Check back in after the Toy Drive for more updates on the campaign, and follow along with the fun on Twitter and Facebook!